Are culturally appropriated objects worn by others outside our culture ‘offensive’? As a mom, I’m sure my daughter will come across many people who will ask her about what she’s wearing and she too may one day have these conversations with her friends. When I came across the project of Sanaa Hamid, I was inspired by her desire to push the issue from a South Asian perspective. 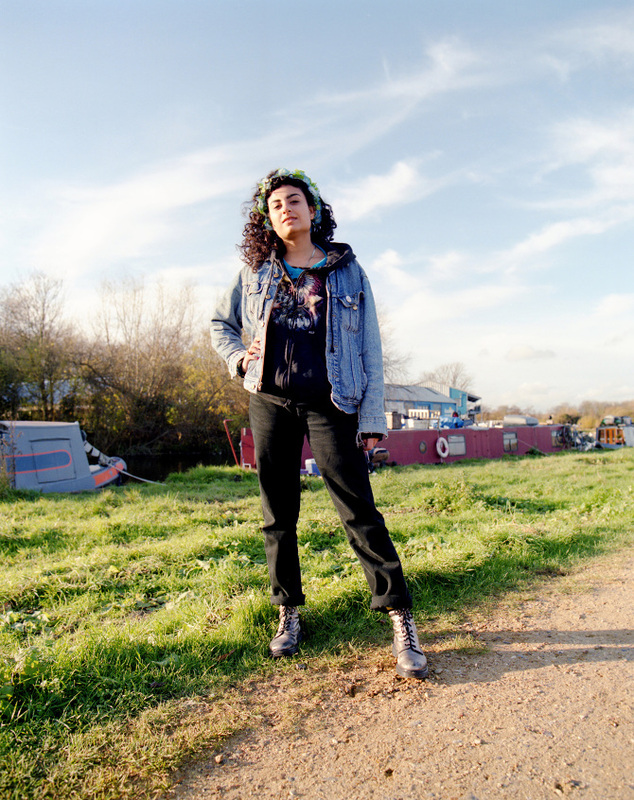 21-year-old Sanaa, is the daughter of Pakistani immigrants and lives in the U.K. Her recent photography project, called “Cultural Appropriation: A Conversation” looks at culturally appropriated objects such as turbans, keffiyehs, bindis and crosses. In her project she asks many subjects to tell her what these objects mean to them. She often works within the theme of social politics, such as matters of multiculturalism, cultural and religious identity, gender identity and the battleground of body politics, particularly within an Islamic and South Asian context. 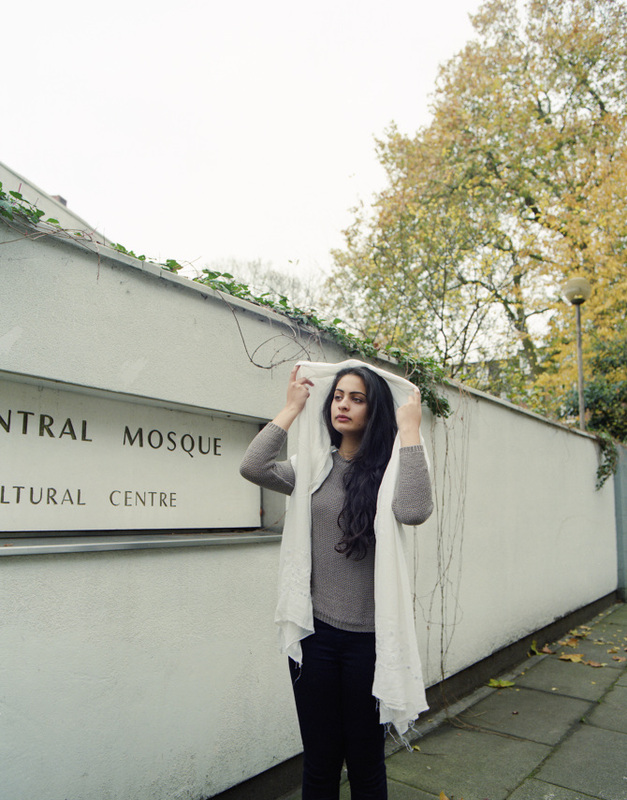 I had a chance to talk to Sanaa Hamid, about her project and what inspired her to start it. “I didn’t really have to “come up with it” in the sense that it was something I’ve wanted to do for a long time. Living in the west, I’ve never really felt like my generation of young South Asian women have the visibility they deserve,” said Hamid. In her photography project she speaks to many South Asian women and continues to have conversations about our South Asian diaspora. She says much of this personal battle is due to the fact that like our own generation, the only access to the culture is through her family. She goes on to point out that even as a young woman today, street harassment is an emotionally exhausting and terrifying experience for women, yet men are not taught to respect women. Women should not have to alter her life to prevent harassment – it isn’t our job to self-impose curfews and route alternations on the way home and stay with a group of people at all times to feel vaguely safe! Something is culturally wrong in the way boys are being raised. Sanaa has launched a kick-starter campaign to help support her project which she hopes to expand through travel to Pakistan as well. She says more South Asian women need to be more visible and speak out. Sanaa is now over the initial pledge target and the kickstarter campaign ended, which means she will be able to travel to Pakistan next month and photograph some of the young Pakistani women who have contacted her. She says her mom has played a big role in who she is and despite a generational difference, her mom is slowly embracing her views. So does she think there’s a place for culture in fashion and does she think moms should encourage their kids on this path? “Of course. South Asian kids should feel proud to wear their own clothes and be able to integrate it with Western clothes, but often they are embarrassed to do so. I am almost 22 and I’ve only just started to feel comfortable to do so, out of fear of looking “too” different and out of fear of being judged,” said Hamid. Fashion and culture/religion is problematic when it is a culture unrelated to your own which is manipulated, which often happens in Western fashion trends. I find it most offensive when a historically oppressed culture is appropriated – that is just cruel. I never understand why people get angry. If I were to wear another culture’s clothes or special symbols on my body, I wouldnt do it out of disrespect or just to look cool. I would do it out of admiration and out of a sense of what that symbol represents not just to me, but to everyone who I share it with. At the same time I would also make sure I know specifically what it means and not just wearing it because it looked nice in a Jewellery stores. If wearing bindis were part of my culture and I seen someone of another culture wearing it, I would actually be happy… If they’re willing to take a leap into my culture, who am I to deny them tolerance unless they had no idea what it is and was wearing it to make fun of it (which I have seen). Canada and the United States are made up of immigrants. I’m white, Scottish/Irish and my family immigrated to Canada. Sure it was 5 generations ago, but we immigrated. I can’t be upset about people of other cultures wearing a tartan (plaid) or Claddagh ring as fashion even though they both have real cultural significance in their respective countries. Coming to a multicultural country, I would hope that people would be open to sharing their culture and learning from others. I wear bangles, mehndi, scarves without any reservation. My daughter is learning to apply mehndi. None of this is meant to be disrespectful, but we enjoy experiencing the fashion part of other cultures just as much as we enjoy the food.